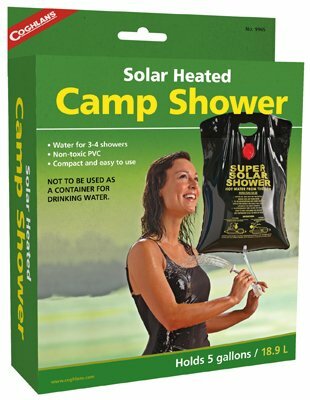 Quantity of (24) : Coghlans # 9965 5 Gallon Capacity, Campers Solar Shower, Spray Nozzle & On/Off Hose Clip, Heavy Duty Non-Toxic PVC, Reinforced Handle, Snap Closure Filler Cap, Includes Cord For Hanging, Not to Be Used For Drinking Water. Includes Cord For Hanging, Not to Be Used For Drinking Water. If you have any questions about this product by American Recreation Products I, contact us by completing and submitting the form below. If you are looking for a specif part number, please include it with your message.